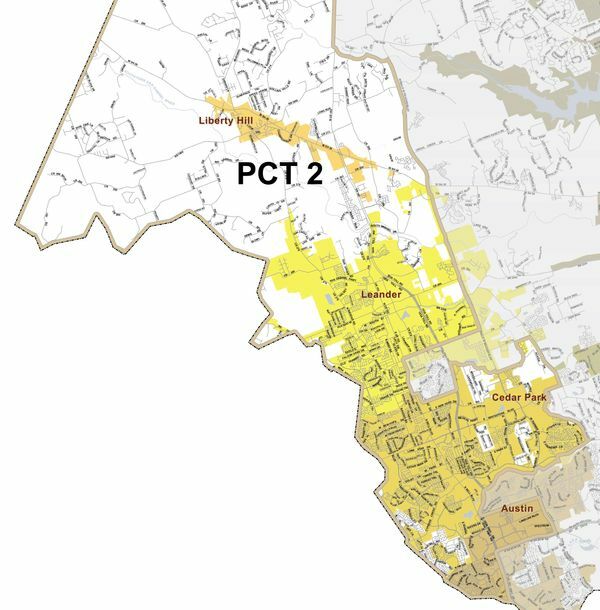 Williamson County Precinct 2 includes Anderson Mill and part of the City of Austin, Cedar Park, Leander, Liberty Hill, and a large unincorporated portion of Western Williamson County stretching out to the Burnet County line. Pursuant to the Supreme Court's ruling on June 25, 2013, Voter ID for the State of Texas is now in effect. For detailed information, please visit the Texas Secretary of State's website regarding this new law. Paid Political Advertising by the Cynthia Long Campaign. Donations are not tax deductible.